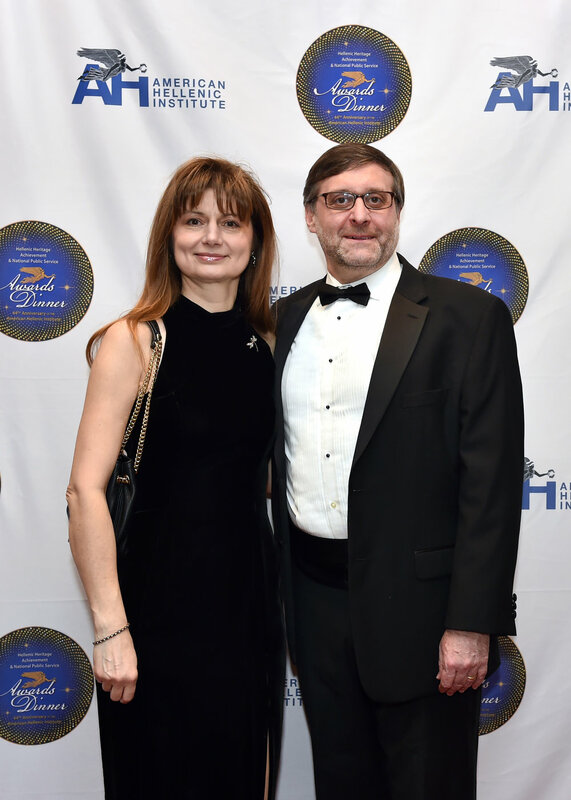 WASHINGTON, DC — The American Hellenic Institute (AHI) hosted its 44th Anniversary Hellenic Heritage Achievement and National Public Service Awards Dinner, March 9, 2019, Capital Hilton, Washington, D.C. The honorees’ many accomplishments were celebrated throughout the evening and highlighted in congratulatory letters submitted to AHI from His Beatitude Theophilos III Patriarch of Jerusalem and All Palestine, His Eminence Archbishop Demetrios, Geron of America; Ambassador of Greece to the United States Haris Lalacos and Ambassador of the Republic of Cyprus to the United States Marios Lysiotis. Please go to the end of the press release for complete bio of the honorees, the congratulatory letters in their entirety, and AHI’s Annual Report which are found in the Awards Dinner Journal. Media Coverage: CosmosPhilly coverage. Video highlights. Special thank you to our Major Benefactors: Constantine & Sophia Galanis; Nicholas & Kathleen Chimicles; Drs. Spiro & Emily Spireas; The Families of Jim and Ted Pedas; Demitri & Eleni Bousis; Mr. James Lagos; The Family of Peter G. Angelos; and Eugene & Aphrodite Rossides. Other notable guests attending the dinner were: Art Dimopoulos, executive director, National Hellenic Society; Mike Manatos, executive director, Washington OXI Day Foundation; Christos Papoutsis, former Minister of Greece for Citizens Protection and current advisor to the Executive Director at the World Bank; Maria Krithariotis, interim director, Greek National Tourism Organization, USA & Canada; Paul Kotrotsios, publisher, Hellenic News of America and president, Hermes Expo International; and AHI-Athens Chapter Vice President retired Vice Admiral of the Hellenic Navy Vasilis Kyriazis, and AHI-Athens Chapter Members George Mermelas and Katerina Papathanasiou.